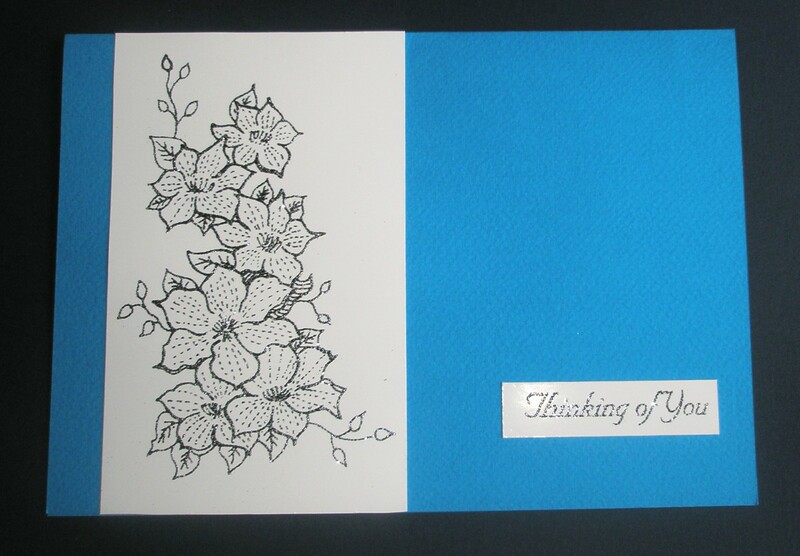 Here's a card I've made for the Less is More challenge week 52 to match the SKETCH. I've used the Clematis Tower and Thinking of You stamps from Oak House Studio; both embossed with Midnight Sparkle powder and added to the rectangular card. You can't really see the sparkle in the photo but it is there!! This is really pretty! What a delicate looking image!